Apo Golf & Country Club is located in Barangay Bago, about 30 minutes drive south of Davao City proper, along the AH26. Keep a lookout for the entry gate. The roadside signage comes out of no where. Been there many times and still have to keep my guard up 😉 There is a long winding road leading to the caddy shack and the clubhouse. Make sure to stop the caddy shack on the right hand side of the road and drop your bags before proceeding to the clubhouse. If you have a preferred caddy you can request it then from the caddy master, if not it will be by rotation. The clubhouse was undergoing renovation in our last visit and they were bringing it up to date. The club is a everyday mans course. Nothing over the top or expensive. It is actually very reasonably priced for locals and “foreigners”. They list their amenities as having a swimming pool, pelota courts, practice green and driving range. As of November 2009 and the previous 4 years before, I have never seen the swimming pool in a usable condition and never even seen the pelota courts. The putting greens are in good condition and depict what you can expect on the course in terms of speed and condition. The driving range has approximately 20 stalls and is dirt based. It is also only about 220 yards deep. They have a net surrounding it. (the 10th hole wraps around the range) I never even considered pulling the driver while at the range. But it is sufficient for warming up before playing. The staff at Apo really are very warm and friendly. 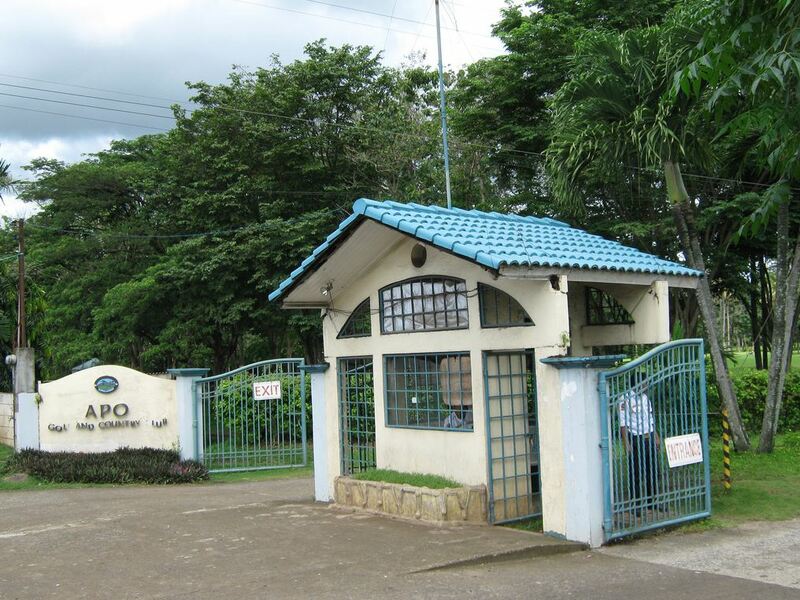 This may not be the top course in Davao as far as facilities or conditions (although conditions are typically good), but their staff is very professional and very helpful. They treat their guests and members as if it were a top tier club. The course itself is used in several professional tournaments throughout the year. The front 9 is fairly straight forward with wide fairways and back to front sloping greens. The greens at Apo are kept in very good condition. They typically run from 10-11 on the Stimp meter. The 10th hole is what they are known for as from the tee you have a great view of Mount Apo (Philippines highest peak) and the 11th hole is a par 3 that might as well be a island green as there is a pond that extends from tee to green and the all around the green is death. There is no bailout area. But never fear, if you drop a couple in the water, the local kids will be glad to go and fetch them for you 🙂 The back 9 continues on this theme of fairly tight tree lined fairways with twists and turns. The back is more of a placement layout than a bomber one. We have never eaten in the restaurant (although we have gotten snacks and drinks) on site but we have eaten several times at the food stalls outside the main gate. Just park right inside the gate and walk back to the main road. The resturant on the corner has excellent food that is very inexpensive. Their adobo and their curry goat is delicious. Note: They are currently developing a subdivision right next to the course. Hopefully it will deliver a shot to the arm of the dated facilities at Apo. Have you played this course before?? Scroll down to our comments section and give your review of the course. There you will find the DCG.com readers reviews and discussions on this course. This course currently has 13 reviews. Potentially this could be a very good course, but it seems to me it is somewhat typical of many member based courses that suffer from poor maintenance and management. Located just off the highway it is quite accessible. You are required to drop your clubs at the caddy stop. You must take a caddy. 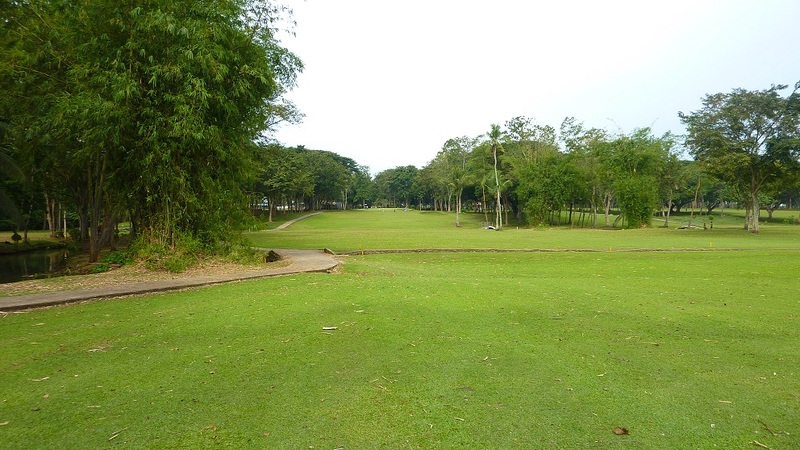 I played twice in a week in Davao and like many of the caddies in Asia, they are ok at offering advice on the greens and cleaning your clubs but thats about all. I often wonder why clubs insist you have to take a caddy. More on that later. Check in is first rate, the girls were excellent, spoke good english and were informative and friendly. Full marks there. The first thing I noticed were some posts stuck in the middle of the fairway! I asked the caddy what they were and he informed me they were distance markers. So I wondered what happens if my ball was to hit one? The first sign of some committee member who got everything wrong. I have played courses on every continent and never seen something so stupid. They actually had distance markers on the side of the fairways but some idiot who probably has never played golf outside his city came up with this hair brained idea. Hit a reasonable drive on the first and the caddy informed me the markers were to the front of the green. So I was left with 92 yards to the front, so the natural question to my caddy was ” how far to the flag?”. so herein lies my point about asian caddies (most, not all i must add). They have distance markers to the front of the greens but the caddies dont know how long the greens are. 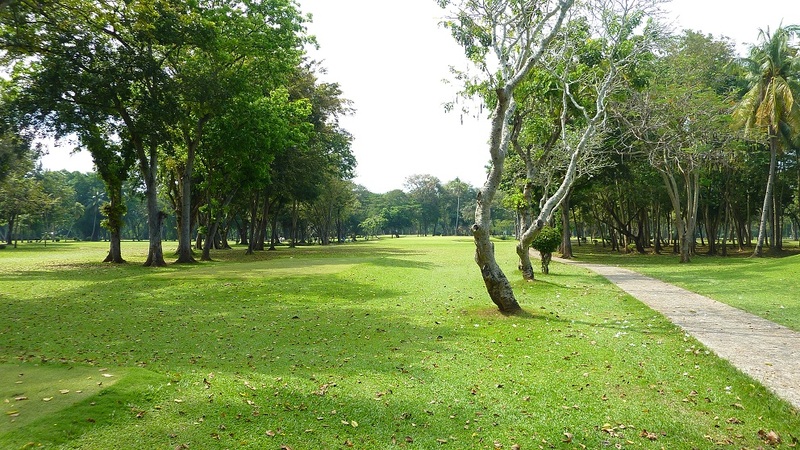 The course layout is generally ok, with a few nice holes, but what stands out is the trees that once were probably suitable have long since grown and have have never been trimmed and maintained. Bunkers are some sort of soil that varies from hole to hole. some soft, some hard. You would think that on a pacific island sand should not be difficult to obtain. 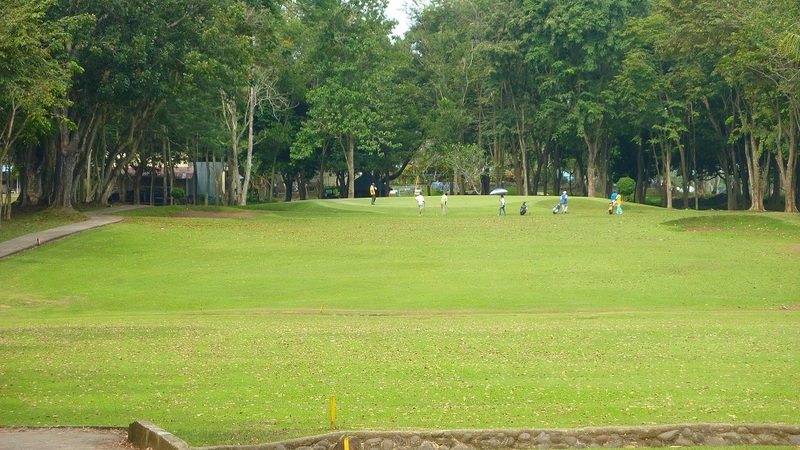 I had read that the 10th hole was rated in the top 10 holes in the Philippines, so I was looking forward to playing it. Top 10??? Its a pretty poor hole in my opinion, I wouldnt even rate it in my top 3 holes at Apo. You are dictated as to what club you need hit of the tee. A 4 iron for me, but for a mid to high handicap player probably a fairway wood or hybrid, then a mid iron ( 5 -7 iron) to a generous green. Nothing special about this hole. Its national rating is most likely politics. I played here on a Monday and a Friday and the hole positions hadn’t changed. That should give you an idea of how its maintained. 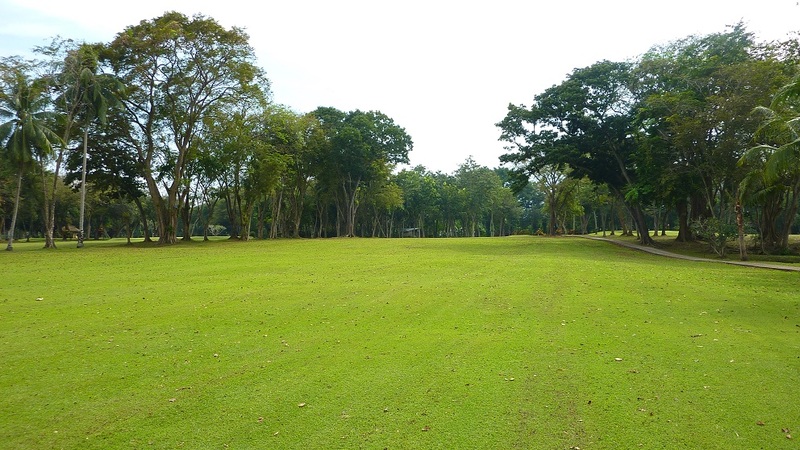 Basically the course could be good with some prudent trimming of some long overgrown trees, some decent sand in the bunkers, removing the stupid posts in the middle of the fairway, and some greens that were mowed daily. I would rate this course as a big disappointment. If you are visiting Davao I would suggest head to Rancho Palos Verdes. Its a world class course in my opinion, just be aware the maintenance isn’t quite up to world class, However you will definitely enjoy the course but I would doubt you will enjoy Apo. I am moving to Davao late this year and am interested in a membership and the sub-division you mentioned can you enlighten me futher ? You hit the nail on the head. The only thing really wrong with Apo is the lack of money they put into the course. 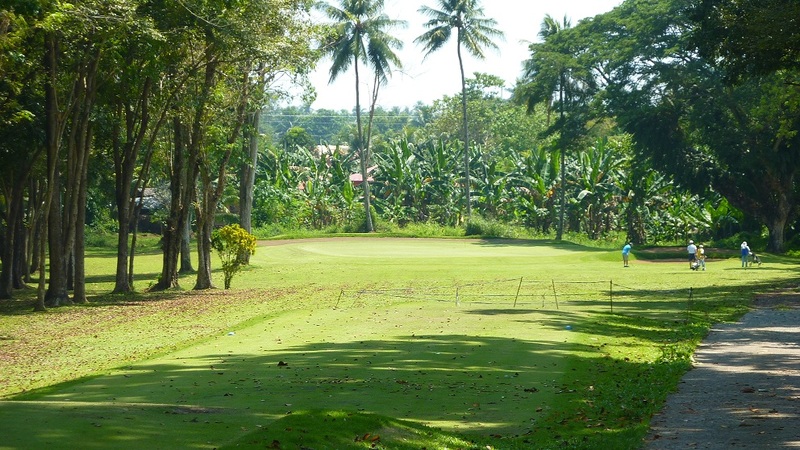 Having said that golf in the philippines for a public course is a dicey proposition. You are catering to the upper class, but in the philippines there are two upper classes. Apo caters to the lower income uppper class. As such they do not spend the money where they need to. I believe their only hope is that the subdivision builds out quickly and gets them a infusion on capital. The course could be stunning with a good investment, but I fear the ROI at the rates they charge would be many many decades. I find Apo a great course to hone your game. Condition wise it is not what I would call “A” rated, but certainly its B plus. Greens are good but certainly not 10-11 on a stipmeter as suggested in the review here. Having played here many times and comparing the greens to the greens in bigger tournaments I have played in where the greens were actually 10-11, I would say they run around 8 to 9. That being said, the greens are always in pretty good condition. 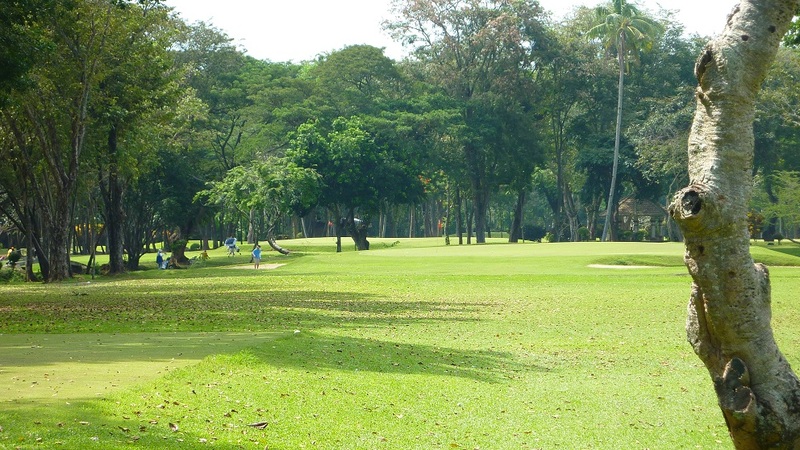 Actually, I think they are probably even better than Davao’s more fancied course Rancho Palos Verdes. Certainly they roll better . As I mentioned up front, Apo is a great course to hone your game as it demands just about all shots. I would rarely play Apo and not use every club in my bag. The fact that many good players have come from Apo is testament to the fact that you really need to be able to play all the shots here. With maybe the exception of wind shots. Apo tends not be very wind affected, but apart from that is will certainly test your game. The 1 th hole is a pretty straight forward par 4 that welcomes you into the course and an easy par or birdie is always on the cards. Any thoughts that this will be an easy course are then stripped away quickly as you stand on the 2nd tee. It requires a a strong drive to the right side of the fairway and then a mid to long iron to a relativey small green. The 3rd and 6th holes are par 5’s that require a tactial approach from all except the biggest hitters. But they are reachable for the big hitters but still frought with danger. True risk and reward. For most however they are genuine 3 shot holes that reguire good placement with the tee shot and 2nd shots to set up a birdie chance. The short 8th hole is a hard dogleg left that requires a brave tee shot to set up a birdie chance. A very sloping green adds to the difficulity on what looks like on paper a relatively easy hole. The back nine again requires good angles off the tee. With the 12th hole a stand out here. It reguires a strong tee shot through a narrow shute to the right side of the fairway to set up a mid to long iron to a small green. The par 3 11th is a relatively short par 3 but it is all water carry. Reading the wind on this heavily treed hole is the biggest test on this hole. Short and you are in the water, long.. and you face a very difficult up and down from a scratchy lie. The 16th is a short par 4 that requires a accurate fading tee shot through the trees to set up a birdie chance. Treat this hole with respect or can bring your round apart in an eye blink! In Summary, Apo is in my opinion a truly great course that will test every aspect of your game.If you can play well here, then you can play anywhere. I certainly rate it as a 4 star. 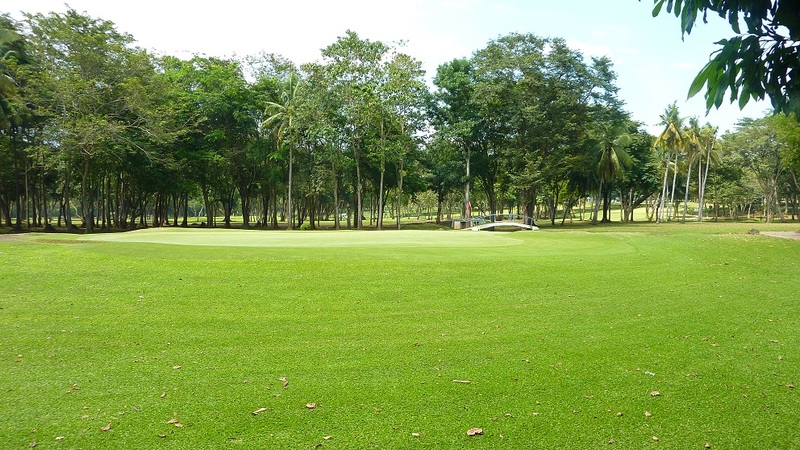 I have yet to play the course during the wet season (as it is in Davao), but typically from October till February, the greens do run rather well. Although I have not played there in a couple of years. Yes wind in general in Davao is relatively light. Thanks for the info. I am planning to settle in Davao or Digos. I noticed there is two different prices for foreigner and locals. Does this apply here? Can I buy a membership? If so, what is the terms and conditions? I will be arriving in Davao on March 2nd. Would like to hook up with a member the following week in the morning. could you help me? Have you played this course?? and oh, if you want a pic to show with your review, go get a gravatar!